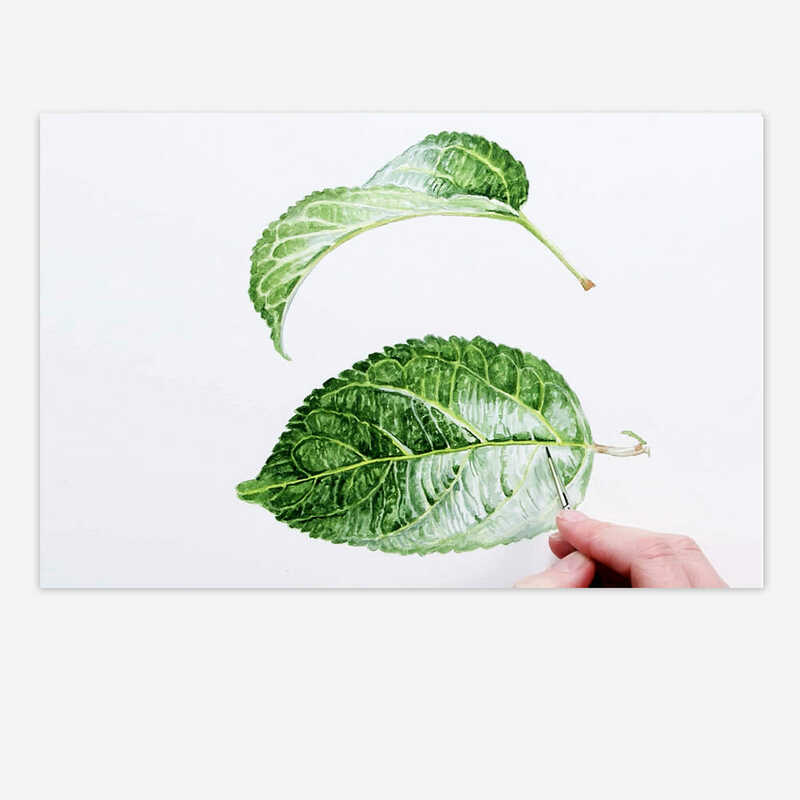 Leaves can make or break your botanical paintings. When you’ve gone to all that trouble with getting your flower looking beautiful, you don’t want to let it down with some ropey looking leaves. But leaves can be so detailed, they can seem impossible to paint realistically in watercolour. Leaves DO take practice, so why not grab a sketchbook and give them a go. If you do, please let me know how you get on in the comments below! Thank you so much for this fabulous tip video. Please can you tell me about your portable easels? Hi Anna, I have just bought your lovely book which I am sure, will be inspirational to both amateurs and professional painters alike.. Good tuition is so important ( I was lucky enough to study in Florence with the great Italian master Pietro Annigoni) and although I am a professional painter, working in all mediums,I watch all your videos with pleasure and amazement at your skill and dedication. Congratulations on bringing the joy of painting to so many people. Thanks Sara, I hope you enjoy the book! Me gustan tus clases pero no hablo inglés, puedo leer francés y por supuesto español, no se si hay alguna posibilidad de tener alguna clase en mi idioma? He tratado de comprar tu libro the modern flower painter , pero no aparece en francés, cómo podría conseguirlo en España? informative and beautiful as always. will try this weekend , no problem with green leaves here on Siesta Key, Sarasota, Florida. Have been experiencing painters block since Hurricane Irma hit our area, luckily no damage. hope all is going well. Waiting for the announcement! Good luck with your imminent arrival. Can you tell me where I can purchase a paper stand like yours? Thanks Pam – please see https://www.annamasonart.com/buy-your-equipment-online for info on where to purchase all my equipment. Many thanks Ana god an inspiring and informative video. This is wonderful painting and I like to start painting , though I am not skill painter. It is rarely encouraging me to do painting. How I’d like you explain your videos in Italian…..
Dear Anna, have you ever consider to subtitle them? We have English subtitles Raffy, so you could always look words up if you were unsure. What colour shade have you used for the leaf you painted? Is the brand Windsor and newton? Can you tell me the exact shade? I just bought your book, The Modern Flower Painter, and your set of small brushes. So excited to learn from you. You are such an inspiration and a great talent. Your work is amazing! I have just started learning to draw and paint in watercolour. You have inspired me to continue using your method and I have purchased both of your books. Thank you so much for sharing you are very talented.